WELCOME TO THE IMAGE PROCESSING GROUP HOME PAGE! The Image Processing Laboratory conducts research in theory and applications of image processing, pattern recognition and computer vision methods in various areas including biomedical imaging and image analysis, visual inspection, and automotive applications. 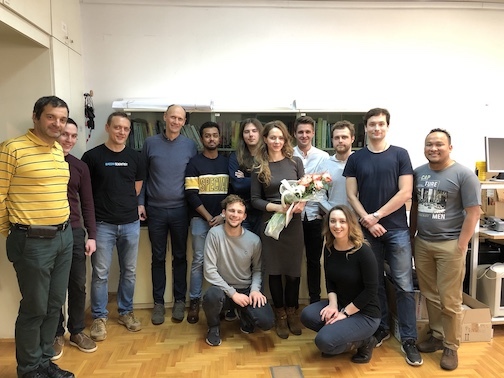 The Group was founded in 1994 by professor Sven Lončarić and currently comprises six professors, one postdoctoral fellow, and more than ten doctoral students. The main research problems include image enhancement, image segmentation, motion analysis, 3D shape reconstructions using structured light, and compressive sensing. In the area of biomedical image processing and analysis, we have investigated methods for retinal image analysis, real-time intravascular catheter tracking from X-ray image sequences and 3-D reconstruction of catheter tip, atlas-based image analysis of cardiac ultrasound Doppler images, nuclear medicine image analysis, and CT and MR brain image analysis. For automotive multi-camera systems we developed real-time methods for geometric correction of fisheye lenses and image stitching to obtain 360 degree panoramic visualization. In biometric security applications we developed methods for personal ID image analysis for quality control of passport photographs and methods for handwritten signature verification for financial transactions. We developed a system for tiled multi-projector visualizations on flat or cylindrical surfaces for large panoramic visualizations and simulation of virtual environments. In the area of industrial visual inspection we have developed methodology and software for automated visual inspection for various industrial manufacturing applications. Recent research activities include color constancy methods for real-time embedded system applications. For the latest information on group research projects and activities please visit our news and research pages.